Emmilie - Your father loves you! Robert Pedersen and Carol Rhodes on KRights Radio! Michigan Republicans were placed on life support after the 2008 November election. The losses were BEYOND significant. This wave of party destruction could change significantly if Michigan Republican Precinct Delegates support Jack Hoogendyk for Republican Party Chairman. Many Republicans at both the state and federal level feel that they no longer have a party to call home. Ron Paul Republicans look at the Republican Party and wonder how the train wreck occurred over and over again to the core principles that the Republican Party once stood for. Don't dismiss the significance of Ron Paul Republicans in Michigan! Ron Paul received 54,475 votes even beating media darlings Fred Thompson and Rudy Giuilani. In fact, ALMOST beating them both in combined votes. The Michigan Ron Paul Republicans numbers have further increased since the launch of Campaign for Liberty in Michigan and across the country. Keep in mind that many NEW Republicans joined the party just to vote for Ron Paul. There are growing reports of MANY Ron Paul supporting Republican Precinct Delegates making the decision to support Jack Hoogendyk for Party Chair in Michigan. This is excellent news and I would ask for their continued support of Jack Hoogendyk. Jack Hoogendyk will truly help unite a Michigan Republican Party. Jack will draw support of Republicans across the political spectrum and create the positive change needed for victory in Michigan. If you review Jack's voting record it will become clear that he will bring the Michigan Republican Party back to it's core conservative principles, which is precisely how success will begin. I also strongly believe that Jack Hoogendyk will create the same type of passion and excitement that Ron Paul did for this party. People loved voting for Jack Hoogendyk as state representative because he was not "wishy-washy" or a Republican in name only (RHINO). You knew where he stands and where he will take this party. For example, Jack Hoogendyk was a strong supporter of Michigan House Bill 4564 and did not waiver on his support of equal parenting for fit and willing parents. To hear Jack speak about HB4564 was truly an exciting experience - his message was simple - to NOT support equal parenting for fit and willing parents is wrong for BOTH parents - BUT MOST OF ALL WRONG FOR THE CHILDREN. Zero wavering - his position clearly defined in a way anyone could understand. This is really what Michigan Republicans need to win big once again. All to often, you hear people state that it is becoming difficult to differentiate between Republicans and Democrats in Michigan. So Michigan Republican Precinct Delegates I urge you to support Jack Hoogendyk for Michigan Republican Party Chair. Visit Jack Hoogendyk's website and voice your support. Be sure to also visit his blog Core Principles which has been excellent to date. Let Jack Hoogendyk bring ALL Michigan Republicans together to create passion, excitement and most of all VICTORY! The economy in Michigan will most likely become even more challenging than it is currently. EVERY REPUBLICAN needs to understand the changes needed to connect with voters. These changes and core values are clearly defined in this youtube video. This is a must see video all the way to the end. I pray that Michigan Republicans will support Jack Hoogendyk and also LEARN from the wisdom of Ron Paul as documented in the above video. Dave Taylor of Oakland County Speaks of the corruption at the Friend of the Court. He let us know that the Friend of the Court has championed new laws in Michigan that will help create a greater intrusion into the family and larger money stream for them. Learn about Title IV-D incentives Learn about the benefits of shared parenting. If you think child custody determinations are fair in Michigan you MUST watch this video with Carol Rhodes speaking on the Michigan Friend of the Court. Hey Dad, BACK TO COURT!! A little over two years ago, my oldest daughter had to repeat Kindergarten. I managed to change my hours at my employer, and filed a motion to increase my time with my daughters. The initial hearing was in front of the Court Referee, where I was blamed for my daughter failing Kindergarten, because I was "not involved enough". Try being involved enough while only seeing your children every-other weekend and four hours one day a week. A Michigan family law court referee actually admonished a loving, caring, fit, and able father for a child failing a grade BECAUSE OF THEIR COURT ORDER limiting my time with my children. The referee did not grant my motion, so I objected, and got in front of the judge, a COUPLE OF MONTHS LATER. Yes, I did manage to have the motion granted, despite the furious protests from my ex-wife and her attorney. Still, I ask, WHY is this necessary? The Fourteenth Amendment of the US Constitution PREVENTS and PROHIBITS any state from doing this to any American citizen. Still, here they are, and they are still doing it. They will do it again TODAY. They will do it again TOMORROW. They will do it again THE DAY AFTER TOMORROW, and THE DAY AFTER THAT. 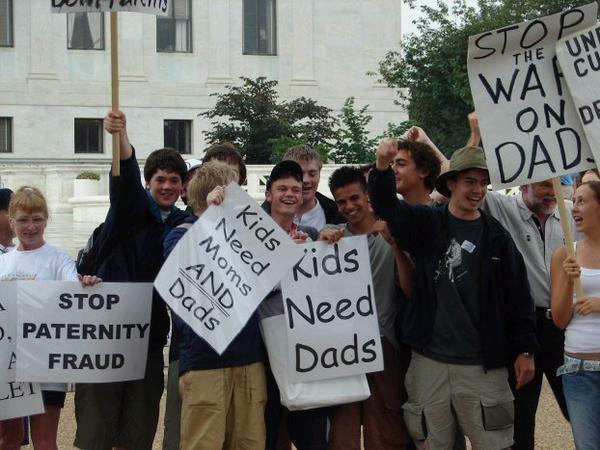 Still, American media continues to cry out against "deadbeat dads", and "angry fathers". They continue to ignore the pleas of thousands of parents, showing our judiciary and bureaucrats the truth and the facts of Michigan's family law court system. And, again, tomorrow, it will be BACK TO COURT again for another loving, caring, fit and able father, to attempt to right another wrong inflicted upon a family by our family law court system. The bureaucrats and judges just stare back, and dream of all the millions of dollars of federal incentives they will continue to claim under Title IV-D. Our constitutional and fundamental rights? They don't matter! And, TODAY, Michigan's bureaucrats still choose to ignore and stall legislation that will again spell out the rights that we parents SHOULD be allowed to enjoy. Our bureaucrats have NO intention of passing these issues. But, they will happily blame any non-custodial parent for "not being involved enough" with their children. 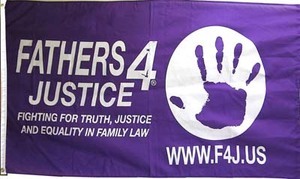 Dads and Moms of Michigan, the Family Rights Coalition, A Child’s Right, Children Need Both Parents, Fathers for Equal Rights, Fathers-4-Justice and Children’s Rights Council invite you to join us in defense of the traditional American family at this historic rally at our State Capitol during Equal Parents Week. Over 40% of Michigan’s population is being micro-managed by the family court system with disastrous consequences to our children, families and the state economy. Help transform Michigan from a wasteland of broken families into a promised land of healthy families and community renewal. House Bill 4564, a bill to ensure equal parental responsibility, will result in a presumption of joint custody for fit parents and equal access for children to both their mother and father. Another hearing on this bill is expected this fall if enough public desire is expressed. 2008-House Joint Resolution NN Fundamental Parental Rights constitutional amendment has been supported by 80 representatives but has not had a hearing. It too will be supported and discussed at the rally and needs your attention. Your attendance at this rally will send a strong message in support of HB 4564 and HJR-NN will serve as a demonstration of our will to be equal and have parental rights to our children. The Equal Parents Week Rally has been organized to bring to the attention of our legislature, our executive branch, our judiciary and the general public that Equal Parental rights are a civil rights issue whose time has come. America’s success was built on strong family bonds and the recognition that both a mother and a father are essential to raising healthy, moral and well adjusted children. Rally speakers will include nationally-known family advocates, legislators, VIPs, community leaders and parents. • Contact your legislator to show your support for HB4564 and HJR-NN. Primary signs and literature will be provided by the rally organizers. • Print a map, car pool and plan to arrive before 11:00 am for assembly or 10:00 am for setup if you are bring. • Bring change for meter parking or consult the maps for the location of a public parking structure. • Dress for the weather with walking shoes and bring a water bottle. • Bring personal signs, pictures, and regalia. Need people to use the Lansing area white and yellow pages and invite people to show up. Also let us know if you know any band who would like to perform some tunes for free. Need you to print out or have printed some parental rights and equal parenting handouts to give out. Does anyone have tables they want to setup for material? A tragedy. A shock. Extremely sad news for all who knew this special man. Minister Ron Smith was one of the best friends I have ever known. Minister Ronald Smith passed away on Friday September 5, 2008 from a heart attack. I am still very shook up from this news and will let our readers know more as soon as I get it. He was such an incredible man and just recently brought the 2008 Million Man March to Michigan. Minister Ronald Smith was also the founder of the National Fatherhood Summit and was one of the co-founders of the Family Preservation Festival. Minister Ronald Smith was co-author of the book Cheated. Minister Ronald Smith was the CEO of Children Need Both Parents, Inc. Most of all Minister Ronald Smith was an amazing father and husband! My thoughts are with Ron and his family right now. Below is a very well known video of Minister Ronald Smith. Incredible speech which I had the pleasure of filming and watching live in Iowa. God Bless Ron - We ALL love you! 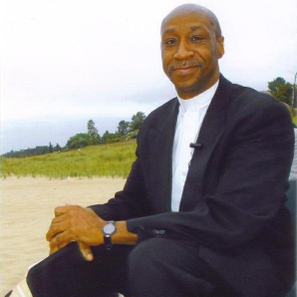 "My brother from another mother"
It is with a heavy heart, and deep sympathy, that I announce to you today that Minister Ronald Smith was called home to be with the Lord. Minister Smith passed away from an apparent heart attack on September 5, 2008. We are currently making arrangements and would ask you to stand by for further communications with regards to a memorial. Children Need Both Parents mourns the loss of it's founder and CEO. We praise God that Minister Smith finished all that God charged him with, and is re-united in Heaven with his son Richmond. We vow to press on with the vision God gave him. Everyone here appreciates your love and support through this most difficult of times. May God continue to shine upon you. Minister Ronald Smith believed in a proper accounting of God's resources. In our efforts to honor his memory, and honor his principles of stewardship, we humbly request that donations be sent in lieu of flowers. This will enable us to more effectively continue the work God began in him. Please be advised that there will be two services for Ronald Smith. Many of you know that Ronald Smith passed away on Friday September 5, 2008. Thank you for your kind thoughts, considerations and prayers at this time. The first service is coordinated by Ron’s sister and mother. Ronald will be laid to rest in Chicago. The wake and funeral specifics are listed below. The second service is a Celebration Of Ronald Smith And His Life. Sherry asks that NO cut flowers be sent. Live plants are welcome. Most importantly Sherry has asked that in lieu of flowers donations be made to Children Need Both Parents, Inc. Ronald did not have medical insurance nor did he have any life insurance. Again, Thank you for your thoughts and prayers. Detroit News Fatherhood Blogger Robert Pedersen wrote an excellent update on the 2008 Equal Parenting Bike Trek and the upcoming DC Festival 2008. Make sure you read the article and COMMENT in support of the DC Festival 2008 and Equal Parenting. View Robert's other articles written for Detroit News. Please be sure to attend the DC Festival 2008. Visit Cycling4Children.com for more updates on the Equal Parenting Bike Trek. 2008 Equal Parenting Bike Trek departure from Lansing Michigan. **From a NEW author writing for DaddyBlogger.com!! ** "A Father of Two" Be sure to tell us what you think and comment below - requires NO account. August has been proclaimed as "Child Support Awareness Month" in Michigan and throughout the United States. Michigan's Family Law Court System would have you continue to support the outdated, biased, and stereotyped notion that a divorced, non-custodial parent (about 85% of the time the father), is good for nothing other than paying child support dollars into the system. This is done to maximise the federal incentive dollars awarded to the states under Title IV-D of the Social Security System, which rewards every state for forcibly removing a fit, willing, and able parent from the life of his or her children. 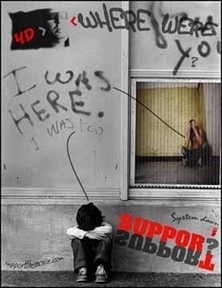 "Supporting" your child does not come down to a divorced parent having a large part of their paycheck taken into this system to justify financial rewards. As a father of two, the following is my take on what "child support" really is, from A to Z. I hope you take the following to heart. These are just some of what I do, as a divorced, non-custodial father, to "support" my children. A. Show AFFECTION for your children. Give them an ALLOWANCE for doing their chores. B. Give them a proper BREAKFAST to start the day with. Make BATH time a fun, and clean experience. C. CHALLENGE your children to rise to new heights. Increase their CONFIDENCE. D. Appropriately and timely DISCIPLINE your children. E. Set the proper EXAMPLE for them to learn by. Take them on ERRANDS with you. F. Have FUN with your children. G. GIGGLE and laugh with your kids. "GOOD JOB"-Praise them for good effort. H. HUG your youngsters. Provide them a proper and safe HOME. I. Embrace their INDEPENDENCE as they grow, but always be ready to wrap them in your arms. J. JOKE with your children. Enjoy the lighter side of things. K. KIDS will be KIDS. Let them be the wonderful youngsters they are. L. LOVE your children. Tell them "I love you", often, and mean it!! Give them a nutritious LUNCH. M. Teach them the proper MANNERS-to be courteous and respectful. N. Learn how to say "NO" when necessary. Take them to enjoy the NEON signs of a fair or circus. O. Take the unique OPPORTUNITY to shape the lives of your youngsters. P. PROTECT them from harm. PROPERLY PARENT them. Q. Give them a good QUALITY of life. R. The "THREE R'S"-Reading, writing, arithmatic. Help them with and supervise their homework. S. SUPPER, together, every night, as a family. T. Give them your TIME. TEACH them right from wrong. U. UNDER the covers-safely tucked into bed every night. V. Take them with you when you VOTE. Take your children on VACATION with you. W. WATCH television with your kids. Don't use it as a baby sitter. X. Take them for X-RAYS, if they, heaven forbid, fall out of their favorite tree. Y. Teach them how to use a YO-YO. Simple things are often the most rewarding. Z. Take your children on a fun day trip to a ZOO. Fun for the whole family!! Of course, there are hundreds of ways to truly "support your children". The system just wants to garnish the non-custodial parent's paycheck. Help us say NO to Michigan's Family Law Court System. Denying a child the love, care, guidance, and nurturing of a fit, willing, and able parent is child abuse! As A Father Of Two, I am the new guy on the block here. I will enjoy posting to you all from time to time. Exciting news for those who follow the Equal Parenting Bike Trek! It is official - a professionaly designed logo for the Equal Parenting Bike Trek is already in the process and near completion. The new logo will be revealed early September 2008! Equal Parenting Wins in Florida. Victory for Children! "Mothers and fathers will have 50-50 rights to their children in a divorce beginning Oct. 1." You can review more information about this in an article written by Jenny Andreasson of The Voice. Ms. Andreasson should have titled the article "Victory for Children" because that is who really wins in all of this. Benefits of Equal Parenting if both parents are fit and willing. Who is holding Equal Parenting up in the state of Michigan? Michigan Democrats such as State Senator Mark Schauer, Representative Andy Dillon, Representative Mark Meadows and Representative Andy Coulouris. These Michigan Democrats and several others are holding up the benefits of Equal Parenting in Michigan. They are not serving their constituents - poll after poll shows Michigan voters support Equal Parenting. They support the Michigan Bar Family Law Section which opposses Equal Parenting legislation such as Michigan House Bill 4564. We are told during election time that Michigan Democrats serve the needs of the common person, however in this case it appears they ignore their constituents while submitting the the demands of the Family Law Section of the Michigan Bar. So - rich attorneys and Michigan Democrats are delaying the benefits Equal Parenting brings to children, parents and society. CONSIDER THIS WHEN YOU VOTE IN NOVEMBER! Yet again! Excellent article by Big Daddy. pe•cu•ni•ar•y / piˈkyoōnēˌerē/ • adj. formal of, relating to, or consisting of money: he admitted obtaining a pecuniary advantage by deception. Sage words of wisdom from the “Ole man!” These words were not any more truthful then, than they are now! As I progressed thru my divorce proceedings, ultimately believing the judicial system would soon discover the truth about myself- contrary to how my Ex portrayed me; the truth of my ability to raise my kids- contrary to how my Ex portrayed me; and, the truth of the need for my four young children to have both parents equally involved in their lives, I became disillusioned, contrary to my formerly held belief, over the continuous Orders rendered by the Court! First in its sole custody award to my Ex. Then, its outrageous child and spousal support awards- triple the state’s mandated formula. Finally, as a death knell, an order of visitation, with my kids, for only four days per month! There were no summer vacations, only six half days of holidays and not any time on their birthdays. I was devastated. I couldn’t believe it! I fought back, only to lose again, and again. After my third stint in the county jail, for allegedly being in Contempt for support arrearages; I guess over 80% garnishment of my check was not enough; I began to research this obvious injustice from my father’s old adage- “follow the money trail.” I soon discovered my Court’s pecuniary interest in: Making me a non-custodial parent; Ordering support triple the state’s formula; Refusing to reduce my support despite proof of my wage; Illegally editing the Official Court Record; Repeatedly incarcerating me for alleged contempt; Refusing to provide me with a Court appointed attorney as an indigent; And, Worst of all, taking my kids away from me by suspending my parenting time! The states’ incentive is called Federal Title IV Block Grant Funding. The states receive funding from the Federal Government at a 2:1 match. (There are actually additional incentives for states beyond this figure tied to their performances) These block grants go straight to the County Court. Ah ha! My father was right! “Follow the money trail.” Now the injustices made sense. Now the kidnapping of my children made sense! Now the senseless incarcerations made sense. Now the erasing of Court documents made sense. Now the falsely claimed, irrationally applied, “Best Interest of the Children” made sense! Now the state’s hypocrisy made sense! 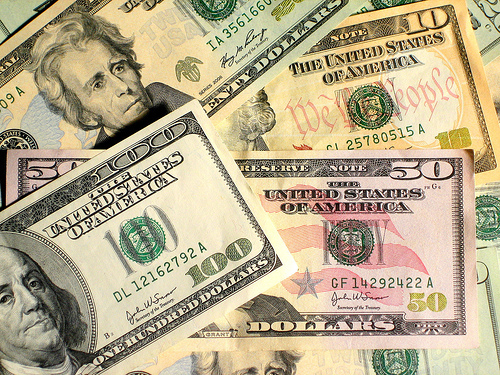 The next time you wander into a Family Court in MI and you hear a non-custodial parent attacking the court for its pecuniary interest, remember what my “ole man” said, “follow the money trail!” Sage advice for those of us who have children! Call in or listen on your computer tonight as host Lary Holland interviews Equal Parenting Bike Trek Cyclist Robert Pedersen. Or listen on your computer by getting a talkshoe account. Be sure to also check out Lary Holland's Family Court Reports. View the always updating list of media and new media coverage of the 2008 Equal Parenting Bike Trek. Beyond Incredible! Equal Parenting Cyclist, Co-founder of A Child's Right, DaddyBlogger and Detroit News featured fatherhood blogger Robert Pedersen made the FRONT PAGE of the Detroit News. This front page story with color photo was done by reporter Kim Kozlowski of the Detroit News. This is Michigan's largest newspaper in the state of Michigan with overlapping coverage in Indiana and Ohio. Circulation total is well over 300,000! The article online also reached such popular demand that Detroit News placed in on their homepage and added additional online resources to the story. They also linked to Robert Pedersen's blog with the Detroit News - he is one of their featured fatherhood bloggers. The article by reporter Kim Kozlowski is still, after 24 hours in their most popular section on the homepage of the Detroit News. With this success of this article Detroit News also conducted an online survey which is overwhelmingly in favor of shared parenting. Be sure to comment on the article and vote in their online poll. Also be sure to visit Robert Pedersen's blog with the Detroit News and comment on his four articles with many more to come. Today Robert Pedersen was also on the Mitch Albom Show which is nationally syndicated and has a massive audience in the state of Michigan. Not only does Mitch have a popular radio show, but he is also author of many books such as Tuesdays with Morrie and is a frequent guest on shows like Oprah and more. 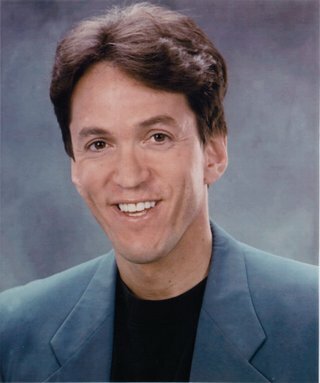 Prior to the Mitch Albom show Robert interviewed on the Dave Jaconette Show out of Kalamazoo. Robert seemed very impressed with Jaconette's interviewing style. We are hoping to get recordings of the interviews. Support? System Down is making its premiere this evening in California. The intention of the filmmaker is to bring this film to other states including Michigan. A Child's Right and Cycling4Children are both official sponsors of this documentary. The four trailers will show you the high quality of this film. We will most certainly keep our readers informed of the upcoming release in Michigan as soon as I receive a date. If you live near the showing in California be sure to purchase tickets now! A very interesting process. An Associated Press (AP) Photographer took a couple hundred pictures of Robert Pedersen training for the 758 mile Equal Parenting Bike Trek from Lansing MI to Washington D.C. This happened very early in the morning today. We were told that other newspapers and media organizations can buy these photos from AP to utilize in their stories. We did confirm that some of these pictures will be used by THE largest newspaper in the state of Michigan - their total circulation is over 300,000!!! We will let you know when this will be published. Stay tuned! 76.208.62.105 Thanks for visiting. REMEMBER 6 days a month is child abuse. A child's right = equal time with both fit and willing parents. Children have a fundamental right to be loved, guided, educated and nurtured equally by both fit and willing parents. To deny this is wrong. To deny this is child abuse. The A Child's Right Meetup Group! Shared Parenting Facts and Fiction by Dr. Linda Nielsen - Professor of Women Studies Wake Forest University. Minister Ronald Smith Children Need Both Parents, Inc. Please bookmark this page using one of the bookmarking services below. Thank you. A Child's Right had the pleasure of urging Derek Bailey, MSW and Dance4Equality to attend the hearings for Michigan House Bill 4564. 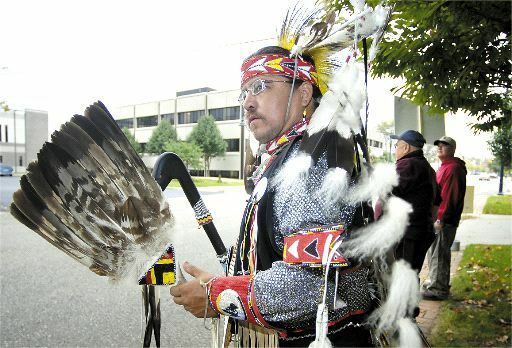 American Indian Shared Parenting Organization, Dance4Equality was present outside of the House Building Office performing their spiritual dance in support of Michigan House Bill 4564. Derek Bailey, Tonia Bailey, Robert Pedersen and myself (Angela) had an excellent time the night before the hearings learning much about the culture of Derek Bailey's tribe which is located in Michigan. We experienced an amazing connection with the couple and are so proud to call them close friends. To see some of the members of Dance4Equality walk into the hearing room was breathtaking to say the least! A Child's Right is proudly affiliated with Dance4Equality. Derek Bailey, MSW did an outstanding job outlining how shared parenting would positively impact his tribal community. He also did an incredible job explaining his viewpoint as a state of Michigan licensed clinical social worker and MSW. Dance4Equality CLEARLY "put themselves on the map" in Lansing as a leading shared parenting organization in Michigan. There was a tremendous sense of pride by all who supported Michigan House Bill 4564 when Dance4Equality was present. Michigan Child Custody. Michigan Father's Rights. Michigan Equal Parenting Rights. Michigan non-custodial parents. Michigan Grandparents. Michigan step-parents. All are welcome. Last week we had the incredible experience of having Instapundit, one of the world's top ranked news and political blogs, cover the 2008 Equal Parenting Bike Trek. This single post by Instapundit exposed thousands upon thousands of people to this inspirational story. So many news blogs are covering the 758 mile Equal Parenting Bike Trek that we are finding new coverage on a daily basis. OVER One Hundred blogs have already covered this event. ABOUT.COM, owned by the New York Times and recognized as a top 15 content site, just covered the 2008 Equal Parenting Bike Trek. In less than 24 hours, thousands of readers have visited the main event page for the Equal Parenting Bike Trek! Please take the time to thank author Wayne Parker for covering this important human interest story. Commenting does NOT require you to sign up for an account so it is very easy. If you utilize Stumbleupon, Digg!, Mixx or other social bookmarking please do so on Wayne Parker's story. 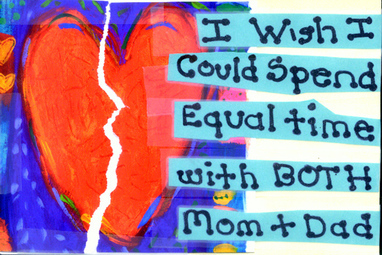 A Child's Right recently organized a successful Equal Parenting Symposium in Barry County Michigan. Following is Carol Rhodes, a former Michigan Friend of the Court officer, who blows the whistle on the bias and corruption in Michigan's family court systems. Special Thanks to Phil Wurm for organizing this event and Special Thanks to the Barry County Democrats for allowing the use of their facility. A Child's Right will be bringing Equal Parenting Symposiums throughout all of Michigan. If you would like your county to have a symposium please contact Darrick Scott-Farnsworth at darricksf@achildsright.net. This is part one of Carol's speech. We will have many more videos from speakers at this event in the near future on DaddyBlogger.com. PLEASE review the incredible media and blog coverage that is already occuring over the 2008 Equal Parenting Bike Trek. Instapundit, About.com, Dr. Helen, Protein Wisdom and many more of the world's top ranked news blogs have already covered this. Truly amazing new media buzz over the five fathers that are pedaling 758 miles for their children!!! Some of the word's top ranked blogs have already covered this event/story. What is even more exciting is that these are blogs that cover different topics; we have fatherhood, cycling, and news blogs covering this event for a good cause. There is much excitement over the upcoming departure event in Lansing Michigan at the Capitol. Help us spread the word about this event and if you know a blogger ask them to kindly cover this incredible story. Dynamic and experienced speakers will be present to discuss Michigan's family law court systems and how their actions adversely affect Michigan's families and children. Michigan House Bill 4564 (Equal Parenting) and Michigan House Joint Resolution NN (2008) will also be discussed. All Michigan citizens and members of the Michigan media are encouraged to attend. Jack Hoogendyk, State Representative(R), District 61, U.S. Senate candidate, 2008. Rick Jones, State Representative(R), District 71. Mr. Scott Hudson, Democratic candidate for State House District 43 seat, 2008. 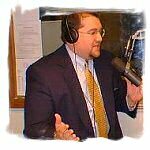 Mr. Brian Downs, Esq., Kent County Circuit Court Judicial candidate, 2008. 2008 Equal Parenting Bike Trek cyclist, Cycling For Children. Ms. Carol Rhodes, former Calhoun County Friend of the Court Enforcement Officer. You will not want to miss her speech as she exposes the corruption of Michigan's child custody evaluations and family court systems. 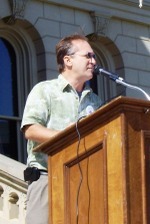 Mr. Robert Pedersen, Co-founder of "A Child's Right", 2007 Men's Health Best Life magazine's "National Hero Dad" contest runner-up, 2007 Equal Parenting Bike Trek cyclist, 2008 cyclist, Cycling For Children. Mr. Lary Holland, Michigan family rights advocate, national expert on Social Security Title IV-D, the financial incentives behind denying children the love, care, guidance and nurturing of both of their fit and willing parents. Host of the popular talk show "Get Off The Bench". Mr. Mike Saxton, Dads and Moms of Michigan District Advocate, 2008 Equal Parenting Bike Trek cyclist, Cycling for Children. Topics of discussion will include The Equal Parenting Bill, House Bill 4564, House Joint Resolution NN, the proposed "Parental Rights" Constitutional Amendment, and the Barry County Friend of the Court. We are inviting parents and grandparents to come and learn the truth about Michigan's family law court system. Learn why children have a fundamental right to be loved, guided, educated and nurtured equally by both fit and willing parents. Media - Please accept this invitation to participate in the coverage of this incredible community event. WOW! Some of the world's top blogs are already covering the 2008 Equal Parenting Bike Trek! Instapundit, Dr. Helen, Protein Wisdom, Dean's World, Murdoc Online, Gun Pundit and many more. See the updating list of coverage now. This truly is amazing and we appluad the five fathers that will be pedaling 758 miles for their children. When it comes to the divorce of two parents that have children people think of the two parents and the children in the middle of the divorce. In order for the state and the court system to make money through Title IV-D federal incentives, one of the fit and willing parents must be forced into the role of the non-custodial parent. Sadly, children go from seeing this parent on a daily basis and then suddenly the typical 4-6 days a month. Children have the fundamental right to be loved, guided, nurtured and educated equally by both fit and willing parents after a divorce. To deny this is child abuse. The pain of this child abuse also affects the parents of the non-custodial parent. Grandparents are then forced to see less of their grandchildren. This is abusive not only to the children but to the grandparents as well. Grandparents, from both sides of the family tree, play an important role in the development of their grandchildren. How do grandparents in this situation deal with all of this pain? The pain of seeing their child become a non-custodial parent and being forced away from their child by no choice of their own or the child's. 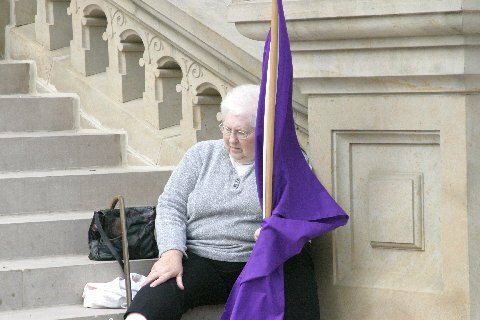 Grandparents must also endure the pain of seeing less of their own grandchildren. Grandparent are increasingly becoming involved in the Shared Parenting movement and are joining in the fight against child abuse that is sponsored by a bitter spouse and the court system. I encourage all grandparents to visit SCOPE - Senior Citizens Organization for Parental Equality and become involved in what is in the best interest of their grandchildren. Another organization that I can personally recommend is Three Sides to Every Story, Inc. Grandparents! There is a place for you to make a difference. 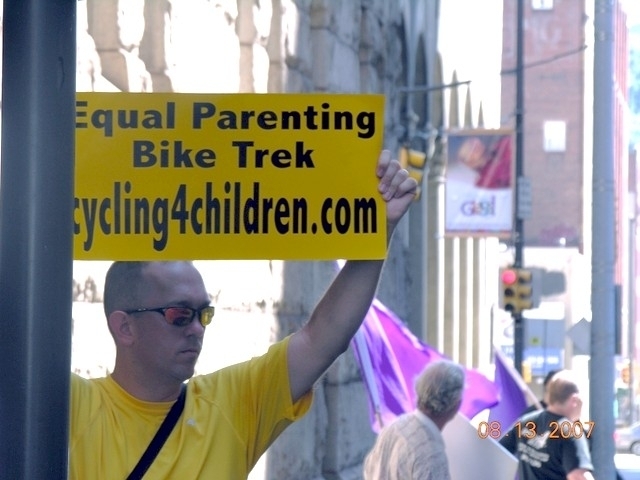 The 2008 Equal Parenting Bike Trek is an event worth supporting. Bloggers know an interesting and unique story. Over 4 months away and the online buzz is picking up! The five cyclists truly appreciate any help in spreading the message of this event. It is not easy to pedal over 758 miles physically or mentally for that matter. Special thanks to all bloggers that have picked this story up. Robert Pedersen and Robb MacKenzie at 43 mph in Pennsylvania during the 2007 Equal Parenting Bike Trek - Max Speed during trek 54 mph! So sad! Imagine being a next door neighbor and seeing this. I wonder what she will do once the child custody dispute starts! Hopefully she will stay in jail for trying to kill her husband and putting her child at risk. Someone once told me that there is no such thing as domestic violence against men. I have always know that to not be true. Be sure to check out the upcoming 2008 Equal Parenting Bike Trek. Things are already picking up and this incredible event is over 4 months away! Spread the word! 2008 Equal Parenting Bike Trek - 758 Miles - Lansing Michigan to Washington, D.C. The 2007 Equal Parenting Bike Trek was a smashing success! Review the complete media coverage of last year's event. Pictures from the 2007 Equal Parenting Bike Trek. The 2008 Equal Parenting Bike Trek is already shaping up to be bigger and better than ever before! Do not miss this incredible event which is already gaining traditional media and blogger coverage! A grueling 758 mile cycling trek to raise awareness of a child's fundamental right to be loved, guided, educated and nurtured equally by both fit and willing parents. Five Michigan fathers will pedal their bicycles 758 miles from Lansing, MI to Washington, D.C.
1) Dance4Equality, an American Indian shared parenting organization, will be present performing their Pow Wows, dance, drums and songs! 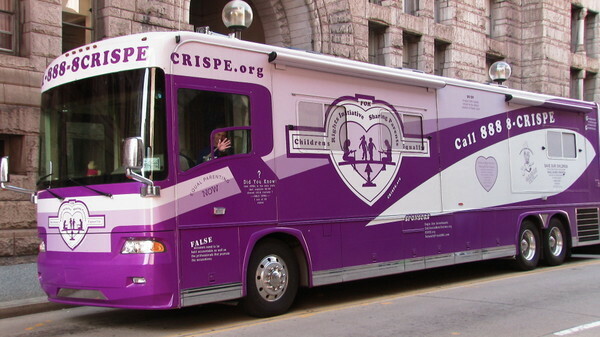 2) See the MASSIVE CRISPE bus up close and meet the crew! Please show your support and attend this amazing event being held at the Lansing Capitol in Michigan. ALL ARE WELCOME! A large crowd will help energize our cyclists! We already have confirmation of media coverage (TV, Newspaper & Radio) for the departure! We Need Your Support and Help Now! 1) Please donate for this amazing event - no amount is too small or too large. It is very expensive to pull off such a large event over 758 miles with 5 cyclists and chase crew. Donating early will allow us to advertise this event, hand out brochures along the route, gas expense for the chase vehicle, a bed to sleep in at night for the cyclists, etc. 2) Blog about this event and link to this page. Blog on MySpace and more! Post on Facebook! 3) Social Bookmark this page on StumbleUpon, Digg!, Del.icio.us, Reddit and more. Digg! and Del.icio.us can be used via the links directly below this page. 4) Email this page to everyone you know and tell them about this wonderful cause for children. Be sure to order a few high quality flags for your state's event! 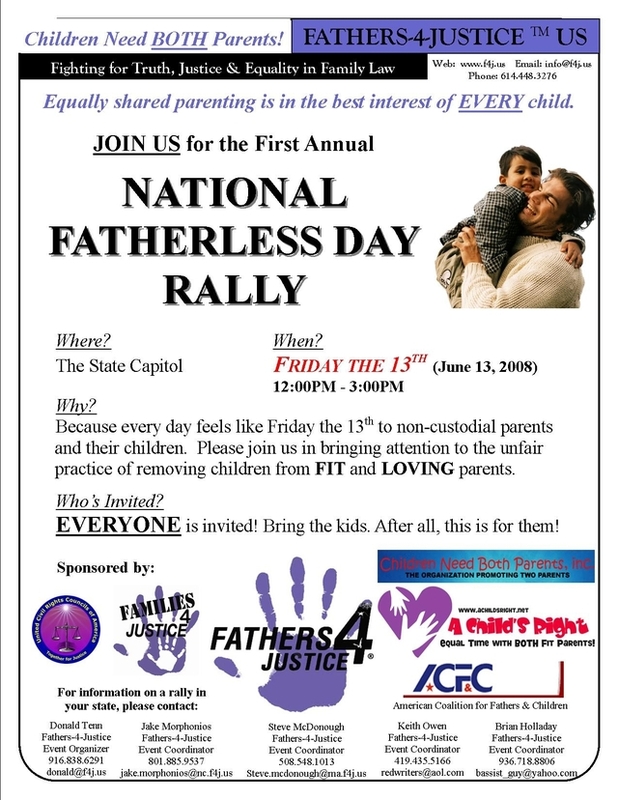 National Fatherless Day Rally Fathers4Justice F4J F4JUSA Families4Justice A Child's RightChildren Need Both Parents, Inc United Civil Rights Councils of America ACFC Donald Tenn Fathers4Justice US child custodyFathers Fatherhood Dad Men divorce family court If you found this post to be interesting or helpful please bookmark using one of the services below. Excellent find by Lary Holland. While we certainly do NOT agree with theft in any way there are major issues with the child support system in all states throughout America. Too many mistakes are made with child support accounts. The Robert Parker case out of Genessee County Michigan is a perfect example in the State of Michigan! If you found this post to be interesting or helpful please bookmark using one of the services below. The must attend shared parenting event of the year! August 7th 2008 12 Noon - 2PM Lansing Michigan Capitol area lawn. Dance4Equality - Watch this American Indian shared parenting organization perform their pow wows, dance, sing, drum and more! CRISPE - See the massive CRISPE bus up close and meet their crew! This will be a huge event and will certainly receive large media coverage! Be sure to attend this exciting event. Please bookmark this post using one of the bookmarking services below. Thank you. The interview is today on the Divorced Fathers Radio Netowrk with Steve Ashley on Talk Back Radio KSCO 1080AM at 5PM EST/2PM PacificTime. If you do not live in California you can listen live via your computer! YESTERDAY'S SHOW! Dance4Equality's Derek Bailey MSW, Tonia Bailey and Robert Pedersen on the ultra-popular Children Need Both Parents Talkshow with Ronald Smith and Robin Denison. You can download all prior shows including this one on the shows homepage. EXCELLENT BREAKDOWN OF MICHIGAN'S FAMILY COURTS BY TONY TAYLOR. THIS IS A MUST LISTEN/VIEW FOLKS! Be sure to tune in on 03/13/08 Thursday at 9PM EST! 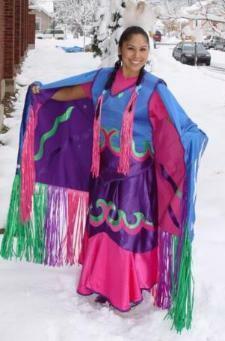 Derek Bailey, MSW - founder of the American Indian shared parenting organization DANCE4EQUALITY. BOTH will be on Minister Ronald Smith's ultra-popular Talk Show "Children Need Both Parents". Tune in for this special show to find out how Robert Pedersen and Derek Bailey, MSW are forming an incredible coalition in Michigan. The link below will take you to the homepage for this show where you can acquire the phone number to call in and more. CRISPE and Dance4Equality will both be present at the departure for the 2008 Equal Parenting Bike Trek on August 7th 2008 12 Noon-2PM at the Lansing Michigan Capitol. Ask off of work now for this special shared parenting event. Yet another LTE printed by A Child's Right. Darrick Scott-Farnsworth in the Kalamzazoo Gazette. Children are a part of the family and they have the right to the love of both of their parents and their extended family, too. Allowing the state, without due process of law through the courts and government child welfare bureaucracies, to interrupt the child-parent relationship has destroyed many childhoods and caused untold damage to our society. Parents should have the right to decide how their children are educated and medicated as long as there is no clear evidence that these choices will seriously harm their children. Demonstrating to children that the family is important by making sure that both parents and the entire family are respected will give children the courage to have a family of their own. In divorce cases, the state is allowed, through the supposed best interest of the child criteria, to pressure most fathers to relinquish custody to the mother or be denied custody in court because they want to create winners and losers instead of promoting joint custody. HB 4564 and Resolution NN will help ensure that children will have the stability and love of both of their fit, willing and able parents. Excellent article from World Net Daily on how kids need their fathers! "...researchers released a massive study – covering 22,300 individual sets of data, gathered from 1987 to 2007 – which found that "active father figures play a key role in reducing behavior problems in boys and psychological problems in young women." "The results are not going to sit well with many Americans, particularly those who hail voluntary single motherhood as a valid "lifestyle choice." An ugly alliance of feminist ideology and pop psychology has brainwashed the public into believing that fatherlessness has few, if any, social consequences." Be sure to review this as well! Please bookmark this post using one of the many bookmarking services below. Thank you. Yet another excellent editorial by The Daily Telegram! This time on Michigan House Bill 4564 and Michigan House Joint Resolution NN (2008) - if only other newspapers in Michigan had the same journalistic integrity and courage to report on the facts and not push liberal agenda. At issue: February being declared Responsible Fatherhood Awareness Month in Michigan. Our view: Key bills need passage to help more children benefit from having fit non-custodial parents more involved in their lives. February is “Responsible Fatherhood Awareness Month in Michigan,” declared by Gov. Jennifer Granholm to raise public awareness that involved fathers are important in raising children. Research shows that fathers parent in ways that tend to provide somewhat different — but complementary and equally important — benefits from parenting provided by mothers. Unfortunately, society has moved away from the two-parent model for raising children. The U.S. Census Bureau found that between 1970 and 1990, the proportion of children living only with their mother doubled from 11 percent to 20 percent. 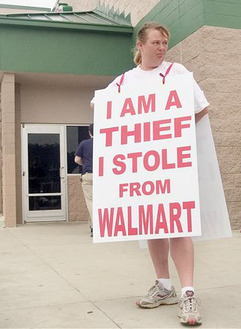 Wednesday, the Census Bureau issued its new report that showed the latter rate has increased to 23 percent. More than one-quarter of American children live with only one parent and, in 88 percent of those cases, the Census Bureau found the mother has custody. Divorce is a major cause of the trend. In most cases in Michigan, children of divorced parents typically are only given four to six days per month with their non-custodial parent. This arrangement remains the standard in any case in which either parent refuses joint parenting. Two proposals are before Michigan lawmakers that would help ease that problem. One is Michigan’s Equal Parenting bill, HB 4564, which would establish that more equal parenting would become the normal expectation in contested divorces involving parents who both are fit adults. Judges still would have the authority to assign primary custody, however the burden of proof for denying one parent more equal time with their children would be shifted to a presumption of fitness rather than today’s general presumption of single-parenting. Another proposal is House Joint Resolution NN, the Parental Rights Resolution, a proposed constitutional amendment to establish that “parents and legal guardians have a natural and fundamental right to direct the care, education, and upbringing of their children. No government action shall burden, abridge, or hinder this natural, fundamental right unless it is in furtherance of a compelling governmental interest and is the least restrictive means of furthering that compelling governmental interest. The Equal Parenting bill has languished in the House Judiciary Committee since Oct. 10 after six months of sitting in the Families and Children’s Services Committee without a hearing. A similar bill received mostly favorable testimony last year, but died when Rep. Dudley Spade, D-Tipton, declined to vote “yes” or “no” on it in committee. Spade has signed the Parental Rights Resolution as a co-sponsor, although Rep. Mike Simpson, D-Liberty Twp., has not. It is time to move these pieces of legislation forward for consideration by the full House. This month’s declaration pays recognition to fatherhood. It is important now that lawmakers also create a more equal state environment in which more children will benefit from responsible fatherhood. Special thanks to all of our readers of DaddyBlogger.com! We especially appreciate a special reader who visits daily from Mishawaka Indiana. :) All readers should check this out. An excellent resource for all to read. "Shared Parenting Facts and Fiction" by Dr. Linda Nielsen Professor of Women Studies and ACFC President. Well researched and the layout is excellent. Download or print your copy now via the link above. Hand this out wherever you can. less about raising kids than moms do. homes, moving back & forth. THE FAMILY COURT CREATES THE NON-CUSTODIAL PARENT IN ORDER TO CREATE A SUPPORT ORDER. IN TURN, THIS EXACT FAMILY COURT SYSTEM IS PAID BIG MONEY BY THE FEDERAL GOVERNMENT. The Case for Shared Parenting and Joint Physical Custody - It's About The Kids! Children have a fundamental right to be loved, guided, nurtured and educated equally by both fit and willing parents - to deny this is child abuse. We will be updating a comprehensive list in support of shared parenting on a regular basis. If you have additional research that is not in our comprehensive list please email us at admin@achildsright.net and we will promptly add it. Those who deny children of this God given right are child abusers! In fact, Dr. Marc J. Ackerman who is considered to be THE national expert on child custody now recommends joint physical custody unless if a child's life is directly threatened by a parent. Remember folks we have the moral high ground here so never stop fighting for what is in the best interests of your children. Excellent video taken by Lary Holland and Get Off The Bench from the most recent A Child's Right Meeting. More to come I must assume! We will keep you posted. Thank you Lary! The Citizens for Parental Rights recently approved support of Michigan House Joint Resolution NN (2008) during their last meeting! This is exciting news as yet another prominent Michigan organization has stepped up in support of Michigan's families. Michigan Shared Parenting Advocate Will Formally Announce his Candidacy for State Representative for the 43rd District Today. On February 25, 2008 Scott Hudson of Waterford will formally announce his candidacy for State Representative for the 43rd District. Hudson has already filed petitions to qualify for the open seat which represents all of Waterford, Lake Angelus, and the northwest portion of West Bloomfield, and is running as a Democrat. The announcement will be made at the Oakland County courthouse auditorium at 1200 N. Telegraph, Pontiac at 7:30 p.m. during a meeting of the Family Rights Coalition. 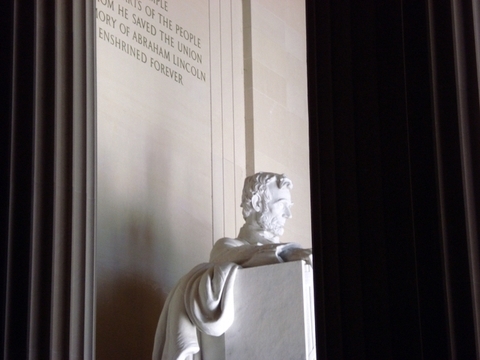 Hudson believes that the integrity of the family must be respected and that the role of the family in America is vital. The mother and father both need equal and full access to their children, and that the role of the state must be secondary to children having both parents in their lives. The economy of Michigan needs to be strengthened so that the security of the home and family is not placed in jeopardy because of loose lending practices. Michigan manufacturing needs to be supported with initiatives that encourage private investment. New and emerging technologies from the great and innovative minds of Michiganders need to be encouraged. Partnerships need to be encouraged so that wasteful duplication does not overly tax the people. Hudson has served eight years on the Board of Directors of an electric utility and understands that there are things that can be done to encourage private investment in sustainable power generation that creates new jobs. Hudson was elected Vice-President of the Waterford School Board of Education in 2005 and understands that education needs a reliable funding source, and that teachers need to be supported. As a nine year member of the Waterford Planning Commission Hudson supports efforts to encourage walkability without raising taxes, and to encourage healthy lifestyles through education, and example. The Summit Place Mall area needs to be supported through private enterprise and not with government subsidies. There is a need for judicial reform. It is unfair that Oakland County picks and chooses who they fund in the district court system. The taxpayers of the 43rd District pay such expenses while other governmental entities are subsidized. Unfunded mandates from the State and Federal government should not be allowed. Public safety and revenue sharing are very important matters and these must be provided for. It is time for Michigan to recognize and for citizens to demand that there be a fundamental right to parent your children within our state's constitution and family law. I implore everyone to actively support both 2008-HJR-NN the "parental rights" resolution and HB 4564 the "equal parenting bill." Children are a part of the family and they have the right to the love of both parents and their extended family too. Allowing the state without due process of law through the courts and government child welfare bureaucracies to interrupt the child-parent relationship has destroyed many childhoods and caused untold damage to our society. Parents should have the right to decide how their children are educated and medicated as long as there is no clear evidence that these choices will seriously harm their children. Allowing parents to raise children with their values and beliefs ensures a level of diversity that makes our society strong. In an intact family children benefit from the love and care of two parents involved significantly in their life. 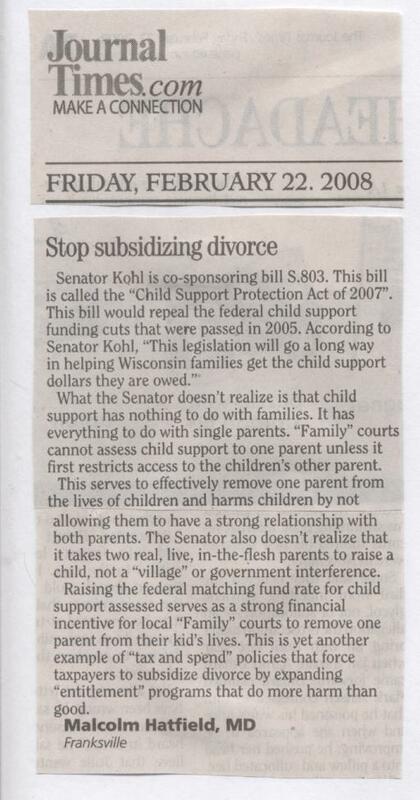 The state and divorce/custody industry operators create opposing parents that clash, costing large sums of money and destroying the child-parent relationship in the supermajority of cases. The state is allowed through the supposed best interest of the child criteria to pressure most fathers to relinquish custody to the mother or be denied custody in court. The standard visitation schedule averages out to four to six days a month based on age of the child and will never be changed unless the parents agree or there is clear and convincing evidence of problems in the custodial home. HB 4564 and HJR-NN will help ensure that children will have the stability and love of both of their fit, willing and able parents.